Have an unforgettable Egypt Nile Cruise travel in Egypt. Visit the great Pyramids at Giza. 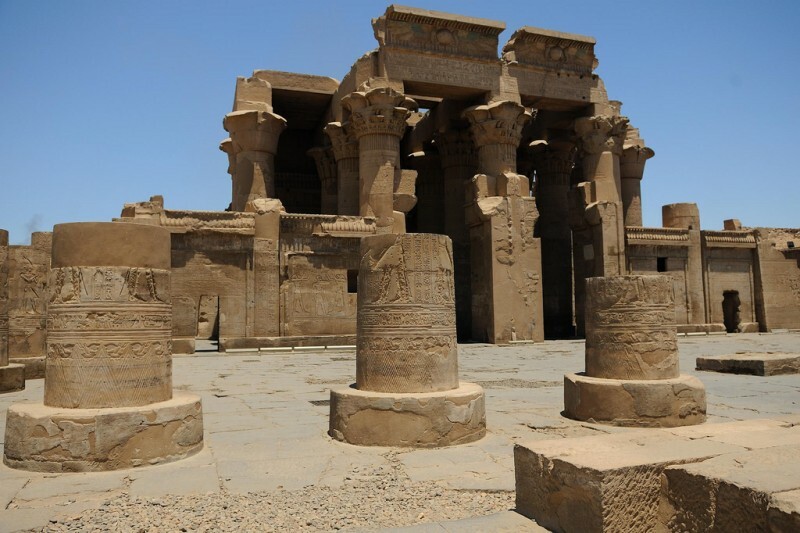 Get on board 5 star deluxe Cruise sailing on the Nile from Luxor to Aswan where you can visit the most impressing pharaonic sites like Karnak Temples, Valley of the Kings, Hatshpsut Temple...etc. Breakfast at the hotel and then you will be escorted by your private guide to visit: Egyptian Museum, Treasures room for the child king Tutankhamen, alongside many other fascinating artifacts. Additional visit to the mummies room at the museum (extra ticket on spot) Lunch through out the tour at local restaurant, then moving to visit Saladin Citadel including Mohamed Ali Alabaster Mosque inside. Continue to Coptic Cairo to visit the Hanging Church and Ben Ezra Synagogue. Combining fascinating history with shopping in a lively Khan El Khalili Bazaar , which dates back to 1382. Later, you will be transferred to Giza railway station to board the sleeper train to Aswan. Dinner and breakfast will be served on board - overnight inside your compartment. You will be met & assisted at Aswan station by our representative, embark your Nile River Cruise , before Lunch at 11:00 a.m, then enjoy visiting the world famous High Dam, The awesome Philae temple, which is devoted to the two goddesses Isis and Hathor , and the largest known ancient obelisk, located in the northern region of the stone quarries of ancient Egypt, the Unfinished Obelisk. Dinner on board and overnight in Aswan. Breakfast aboard cruise before disembarkation and then you will be accompanied by your guide to visit Karnak & Luxor temples at the East bank of the River Nile and later you will be transferred to Luxor railway station to board the sleeper train back to Cairo. Have your dinner and overnight on board sleeper train in your private compartment ( twin beds). Free day in Cairo or optional tour to Alexandria visiting Qaitbay Citadel, built in the 15th century by Sultan Qaitbay on the spot of Alexandria’s ancient lighthouse. See the grand Montazah Palace, which combines Turkish and Florentine architectural styles, then move on to the new and much acclaimed Alexandria Library. Also visit the Roman cemetery cut out of the rock, the Catacombs. Return to Cairo and overnight. Accommodation for 2 nights on sleeper train on half board. Lunch during your trip in Cairo and Giza.